Those are powerful, recognizable words. There’s something energizing about the live performance. It’s risky, edgy, and – to a certain degree – unpredictable. Those are some of the reasons you should use live streaming on YouTube and Facebook. Unlike the polished promotional video or the practiced, planned webinar, live events are spontaneous, whimsical, and imperfect. Presenters walk a tightrope where they have to improvise around gaffes or mistakes – which is a good thing – because it often results in laughs or touching moments. This is a big part of the appeal, making video streaming one of the best tools to show the human side of your business. For businesses, there are two main reasons to live stream. You’re attending or hosting an event. 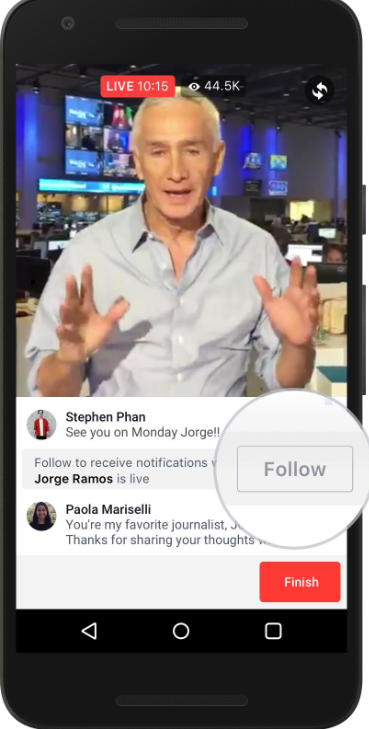 This is “happening”, and sharing it live will expand your reach at let people who couldn’t be there get a sense of the live event. You’re doing a presentation and you want participants to interact and chat questions. YouTube is now one of easiest, most accessible webinar platforms available. When you’re live on YouTube, a notification goes out to subscribers and your live event is the featured content on your page. Perhaps the most important reason to live stream a presentation or event is that you can interact with viewers in real time. You field burning questions, get insight into their thinking, and get immediate reactions that let you gauge how your broadcast is going. You can gather instant data on attendance and engagement, allowing you to gauge interest in particular topics or presentation styles. The ability to interact with a live audience through chat is major factor in deciding whether or not you need to broadcast your content live. If your topic is one that requires a lot of clarification or is content people will react to in the live setting, that’s a good reason to broadcast live. The other reason to consider broadcasting live is that you’re involved in an event that will draw the interest of a large audience. In this case, people from your business act like on-site journalists documenting the event, interviewing people, and broadcasting presentations and demonstrations. Here, you’re leveraging the reach of the internet so people who can’t make the event in person can get a taste for it through your broadcast. A local event with a few hundred attendees can multiply that number exponentially as people engage with and share content. 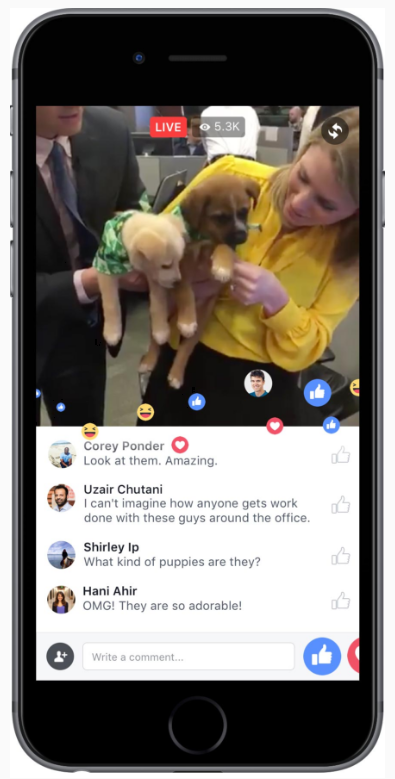 Read this case study on how to live streaming an event on Facebook and Instagram. Another huge appeal of live streaming is how easy it is to create content. It can be as simple as a few clicks – and your filming live through your camera phone. One thing you don’t want to do is hesitate to use this technology because you think you need professional production values. You don’t have to be Francis Ford Coppola to stream online. In fact, the most successful streaming content is impromptu and raw. You do want to maintain your brand voice, but beyond that a huge level of preparation isn’t really necessary. A big part of the live appeal is that the content you stream has an authentic, unrehearsed quality to it. Live From My Business, It’s Tuesday Afternoon! There is one important point to consider with YouTube and social media live streaming. The reach of live streaming is extraordinary. Literally any person can broadcast their activities live to their network with just the touch of button. However, this one of those situations where people are catching up to the technology. The ease with which someone can do a live broadcast does not – much of the time – correspond with an event that is of enough interest to justify a live broadcast. The point is that you need to be judicious when you plan and create live content. Live streaming events that your audience will see as mundane or banal will backfire because the content will come across as an intrusive distraction rather than useful or entertaining. Just because the technology is there doesn’t mean you should run wild with it. When you have an event or presentation that needs to be live for the reasons we described, put it out there. If someone in your organization has a strong personal brand, their audience may be receptive to some of their “everyday” activities in a live broadcast. 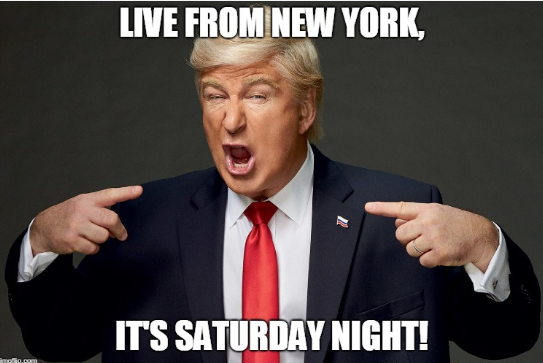 Go live because it benefits your audience, not because you want to pretend it’s Saturday night, live from New York.